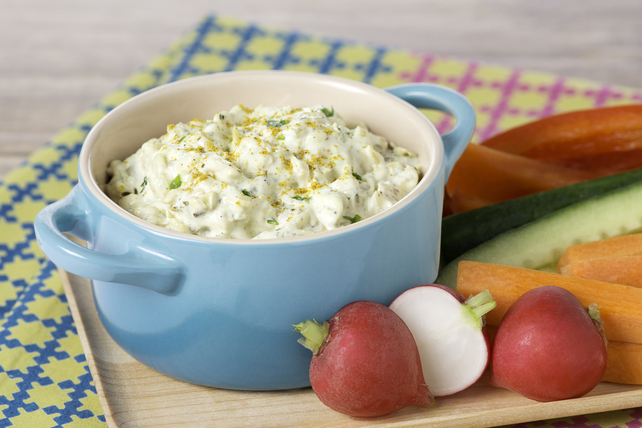 A tasty snack or appetizer dip that is quick and easy to prepare, and perfect when served with cut-up crisp fresh veggies for dipping. Process first 4 ingredients in food processor until blended. Add remaining ingredients; pulse just until artichokes are coarsely chopped. This easy-to-make dip can be prepared ahead of time. Refrigerate up to 2 days before serving. Serve with breadsticks, crackers and/or cut-up fresh vegetables.